SpaceX plans to launch its Falcon 9 rocket from Kennedy Space Center Launch Complex 39 on Saturday, February 18. This launch, which will utilize SpaceX’s Dragon spacecraft, is the company’s 10th mission to resupply the International Space Station. It comes exactly seven months after SpaceX’s last I.S.S resupply mission, and it will be the first launch from Kennedy Space Center since the Falcon 9 explosion in September 2016. This launch is also notable because it’s the first time SpaceX will use the historic LC-39A launchpad at Kennedy Space Center. Apollo 11, the first crewed mission to Earth’s moon, launched from LC-39A in 1969. Prior to that historic flight, all of NASA’s crewed Apollo missions from Apollo 8 on launched from LC-39A. In 1973 and 1974, the crewed and uncrewed missions to launch and populate SkyLab took off from LC-39A. After that, the complex was remodeled for the Space Shuttle program and saw one of the program’s last launches from the pad in 2009 for a mission to service the Hubble telescope. After that, NASA announced plans to solicit proposals from private spaceflight companies for LC-39A. 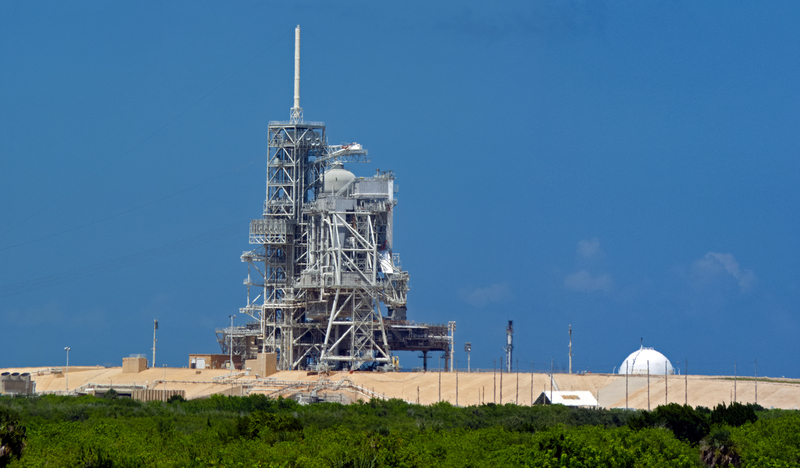 In 2014, SpaceX signed a lease agreement with NASA for LC-39A, but the launch complex has required extensive remodeling to handle the needs of the Falcon 9 and Falcon Heavy rockets. After years of work and waiting, though, it looks like SpaceX will finally have its first launch from the site. SpaceX will utilize the existing Fixed Service Structure on the launch pad, but has reportedly made substantial reinforcements. The Falcon 9 rocket will also travel up the same ramp to the launchpad that guided the Apollo stacks and Space Shuttle crafts. Among the familiar structures, SpaceX has built a hangar near the pad, in which technicians will process rockets before flight. With this launch to resupply the I.S.S., SpaceX begins writing a new chapter in the history of the famed LC-39A at Kennedy Space Center.